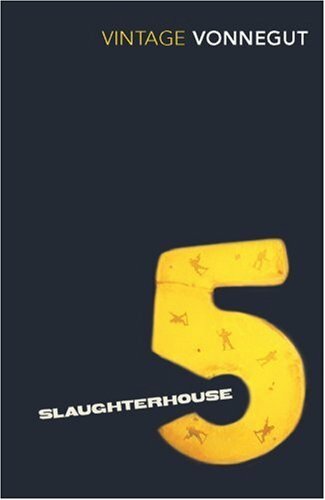 “Listen: Billy Pilgrim has come unstuck this time. Billy had gone to sleep a senile widower and awaked on his wedding day. He has walked through a door in 1955 and come through another one in 1941. He gone back through that door to find himself in 1963. He has seen his birth and death many times, he says, and pays random visits to all the events in between. Kurt Vonnegut’s most famous novel is a fragmented and ironic exploration of the often illogical and senseless nature of human beings through the events of the Second World War. As an exceptional example of postmodern literature and metafiction, it is jumbled, strange and at times disorienting as it skips from one life event to another in no particular order. After all, “there is nothing intelligent to say about a massacre.” The first-person narration through a minor character (seemingly the author’s voice) to relay Billy’s story is interesting and adds an element of reality to the sci-fi wanderings of Pilgrim, centering the plot around the fire bombings of Dresden. It is an anti-war book but with a strong sense of fatalism as “writing an anti-war book is like writing an anti-glacier book.” Vonnegut, despite the senseless disorder asks the postmodern questions about themes such as free-will, fate, the importance of unknowns in life, fatalism, belonging, the nature of reality and of course war. It has been criticised for its irreverence and use of crass language (1968), but is (because of the dark humour and sarcasm in particular) a good introduction to Postmodern literature. It is not a difficult read.